An endoscope functions as a viewing device. It consists of a tubular probe fitted with a tiny camera and bright light, which is inserted through a small incision; and a viewing screen to magnify the transmitted images of the body’s internal structures. The surgeon watches the screen while moving the tube through the surgical area. Because it involves smaller incisions, endoscopy leaves very minimal scarring. To insert the probe, only a few incisions less than one inch long are required. For procedures such as breast augmentation, only two incisions may be necessary. Shorter incisions also reduce risk of sensory loss due to nerve damage. Also, bleeding, bruising and swelling may be significantly reduced. Furthermore, the recovery period tends to be shorter with no need for an overnight hospital stay. Many endoscopic procedures can be performed on an outpatient basis under local anesthesia with sedation. The endoscopic approach has only recently been applied to plastic surgery procedures. There are some known risks, which vary in severity depending on the procedure being performed. These include infection, fluid accumulation beneath the skin (which must be drained), blood vessel damage, nerve damage or loss of feeling, internal perforation injury, and skin injury. And, keep in mind that if a complication occurs at any time during the operation your surgeon may have to switch to an open procedure, which will result in a more extensive scar and a longer recovery period. However, to date, such complications are rare—estimated to occur in less that 5 percent of all endoscopic procedures. 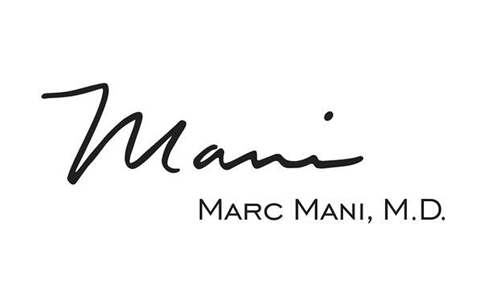 Contact Dr. Marc Mani at his Beverly Hills plastic surgery center at (310) 203-0511.